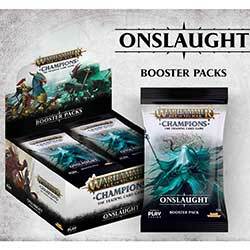 After discussions here at PlayFusion, we have made the decision to delay the street date of Onslaught by 3 days from Tuesday, November 27th to Friday, November 30th. This delay applies to both Physical and Digital versions. This delay is due to logistical technicalities that wouldn�t guarantee that all regions get their stock at the same time. In order to guarantee that all stores receive stock at the same time, the decision was made to delay the street date of Onslaught by 3 days. We expect the shipments to arrive to you no later than 11/26. Thank you for your continued support and please don�t hesitate to contact us with any queries you have regarding this news.